Little Israel is a nation led by Queen Sunruy on the continent of North America. Little Israel's government is a Constitutional Republic with very moderate social policies. Economically, Little Israel favors moderate policies. The official currency of Little Israel is the Gold Standard. At 125 days old, Little Israel is a mature nation. 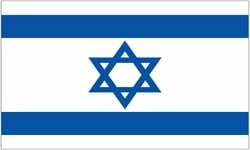 Little Israel has a population of 223,572 and a land area of 6,000.00 sq. miles. This gives it a national average population density of 37.26. Pollution in the nation is almost non-existent. The citizens' faith in the government is completely depleted with an approval rating of 0%. We are little but we are fierce. 04/07 08:48 pm - Little Israel had war declared by Scoitan for the reason of "Get off my plane.". 04/03 05:04 am - Little Israel had war declared by Hispaynua for the reason of "This, is, SPARTA!". 03/20 07:19 am - Sunara removed Little Israel from the alliance Pantheon. 03/06 05:30 pm - Little Israel had war declared by Technocratic Eritrea for the reason of "oh yeah yeah".